Brainerd Lakes Area Tourism and Hospitality Event on Tuesday, May 7 from 8:00-9:30 a.m. If you represent an event, attraction, lodging or dining entity in the Brainerd Lakes Area and want to share your brochures, business cards, posters and other materials with local tourism and hospitality businesses, then this is the place to be. This free event starts at 8:00 a.m. sharp on Tuesday, May 7, so please come with 150-250 pieces of your marketing materials and prepare a one-minute elevator pitch. We're asking proprietors and/or promotions people to be the ones speaking on behalf of your organization but also encourage you to invite your front-line staff to come and learn more about what's going on in the Brainerd Lakes Area. Visit Brainerd utilizes revenues produced through the lodging tax in Brainerd and Baxter to promote the area as one of the country's best travel and meeting destinations. We are committed to providing unbiased information to all travelers and are excited to host this event for local tourism and hospitality business. A special thanks to Arrowwood Lodge for providing a free hot breakfast at the event as well. We all #LoveBrainerd so let's get ready to showcase one another to our summer visitors. Pre-registation is required so we can plan accordingly. What is a brochure exchange? 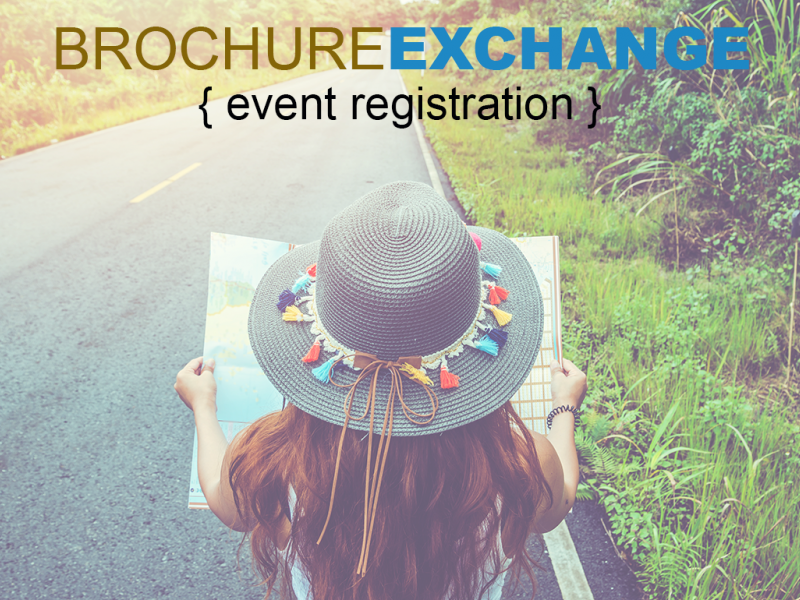 It's an opportunity for area tourism businesses to exchange, collect and distribute their printed promotional materials with each other; to learn more about what products, programming and promotions are scheduled for the busy summer. What's the format? For the first hour participants gathers at Arrowwood Lodge, find a spot at a table, and share their brochures, menus, maps and MORE. Exchangers are encouraged to devleop a one minute elevator pitch of highlights. Who comes? Lodging providers, restaurants, attractions, events and Chamber representatives from across the Brainerd Lakes Area. Is this only for managers or owners? Definitely not. This is a valuable tool to educate and inform frontline staff about all the opportunities available to guests and visitors. I don't have a brochure? You don't need a brochure. Any printed promotional piece or business card will work. This is also an opportunity to collect information on what's happening in the area so you can share with your patrons while you chat with them. I don't distribute other people's brochures? That's okay. It is still an opportunity for you to meet your fellow tourism and hospitality members and promote your operation. Why do I need to register in advance? We need to plan for space and food needs. What's in it for me? FREE marketing distribution, FREE networking opportunities, FREE business development opportunities, FREE venue for you to promote your business and FREE hot breakfast. When will the food be served? Food service will be available from 7:30-9:30 a.m. but we ask you to be prepared to start networking at 8:00 a.m., please.